Last weekend was another busy one for Take to the Road. 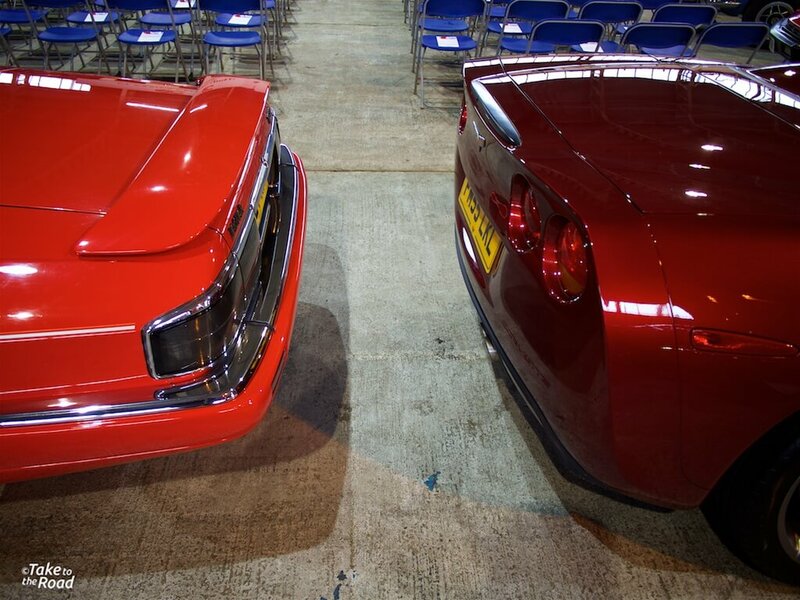 This time we were at Classics Central Auctions November sale at Bedford Autodrome. We’ll be posting an article about the auction shortly, but for now we want to talk about our brief drive in a 2006 Corvette C6 Convertible. 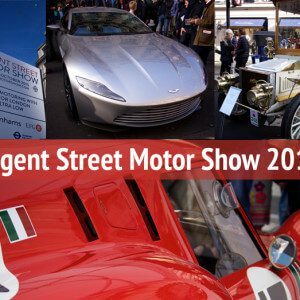 When it comes to car features and car films on Take to the Road, we normally lean heavily towards the classics. So for us to feature a modern era Corvette is a bit unusual. However, when someone chucks you the keys to a 400BHP V8 convertible, you’re not going to say no are you? 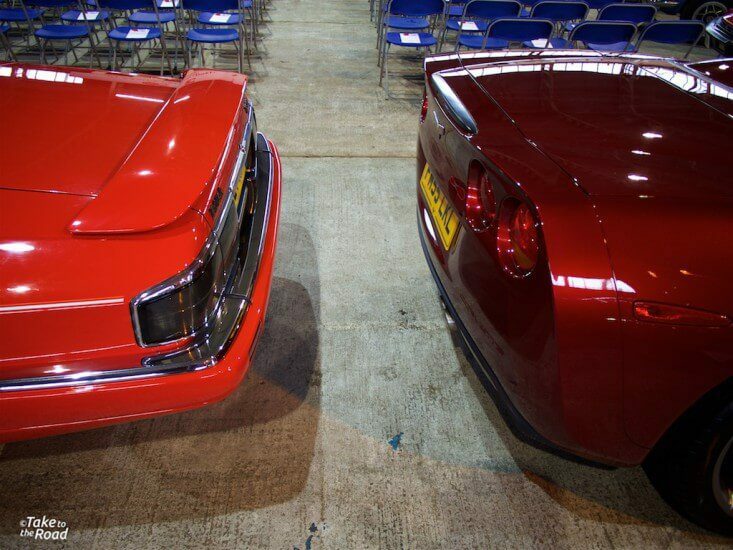 At this stage I have to admit that when it comes to Corvette’s, I prefer the C1 and the C2 Stingray. The C1 is classic 1950s Americana and the C2 Stingray has an aggressive yet elegant appearance. When it comes to the models that followed, I have always found the styling a little bland. I don’t hate them but they don’t get me excited looks wise. So when I got up close with the C6 I was a little sceptical. I knew as it was a 2006 model, it was vastly improved in most departments over the previous C4 and C5 Vette’s. And I remember reading that it had a very comfortable cabin. 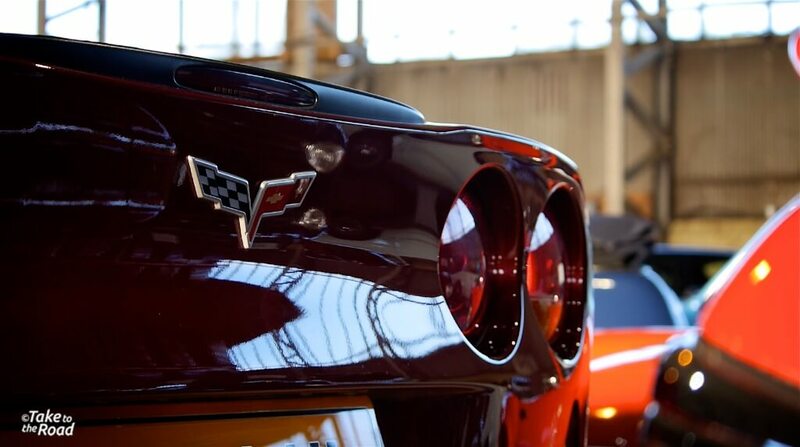 The Corvette C6 is a big convertible, with the LS2 V8 resting under the long bonnet. 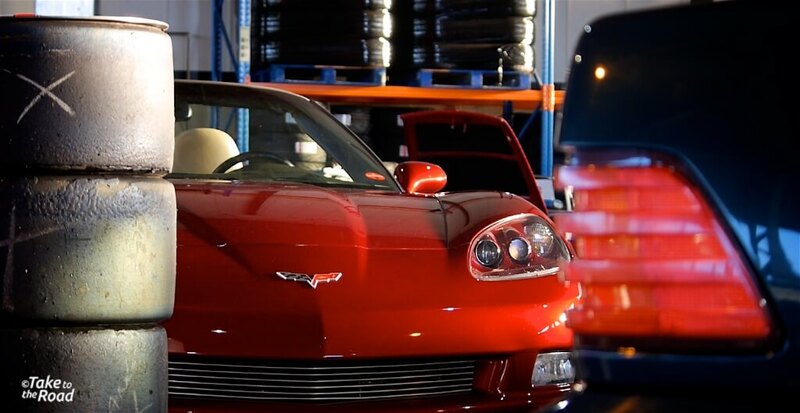 Looks wise, the Corvette C6 is an imposing car. It is long and sleek and while it is quite curvaceous, it has some subtle sharp edges to give it a more aggressive look. The low slung bonnet and lines that rise towards the raised rear, coupled with the swept back windscreen, give it a planted look. The 18” factory alloys set it off very nicely, with the trademark rear end round quad headlights declaring to other road users that this is a Corvette. And it’s imposing rear is the view most road users will see, as it roars away into the distance. The view most people see… the rear end with the iconic round tail lights. On the inside the C6 is very very comfortable. So much so that I think I mentioned the word “comfortable” at least 3 times in the film. But it is! I do remember reading a while back that the then new C6 had a much improved cabin and when I first sat in it, I was really blown away by how roomy it is. The seats are soft and very supportive and the leg room feels like it just goes on and on for ever. The cream leather interior contrasted well with the maroon paint and the cream coloured soft top suits it. 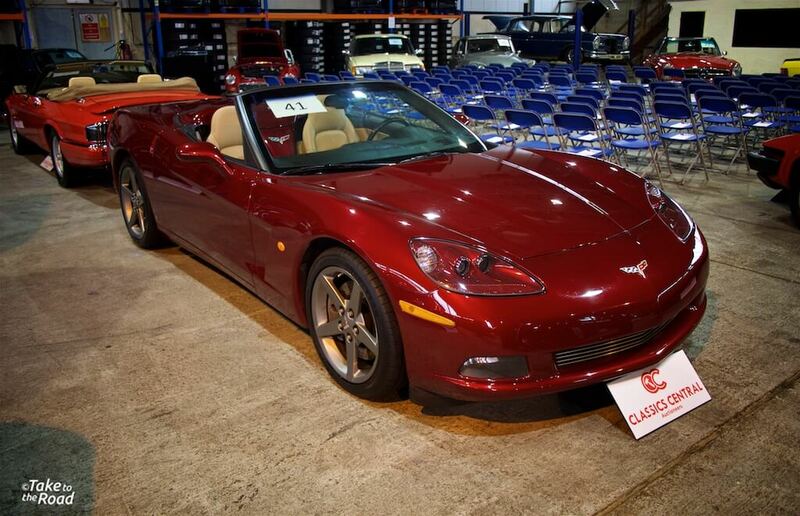 When the C6 was launched in 2006 it brought with it a raft of electronic upgrades such as keyless entry, electronic push button door switches, heads up display, heated seats, electric seats and paddle shift. I’m sure I’ve left stuff out here as to be honest, as soon as I sat in the car, the focus was all on the drive and making sure I didn’t get it sideways in the wet (it rained a lot that weekend). Tail to tail with another convertible, a 1991 Jaguar XJS V12. Although I only got to spend around 8 minutes driving the Corvette C6, it left me very impressed indeed. The Chevrolet LS2 V8 is a bit of a beast of a motor and roars wonderfully when you bury the throttle. Despite all the horsepower and all the torque on offer, it is perfectly manageable when cruising around at low speeds, aided of course by the automatic transmission. Coupled with the comfy seats, the C6 is actually a very relaxing car to drive. But when you bury the throttle, it suddenly reminds you how much power it has. It comes in the form of a great big wallop and to say it is rapid is an understatement. It pulls like a train and just keeps on going until you run out of road. And with the top down, the chorus from the quad exhausts at full song is a delight. It is the kind of sound that makes you laugh manically to yourself as you blast along, the V8 monster the perfect backing soundtrack. And then when you lift off the throttle, it settles back down to being a comfortable cruiser again. The spacious cabin has lots of buttons and electronic gadgets like a headup display. 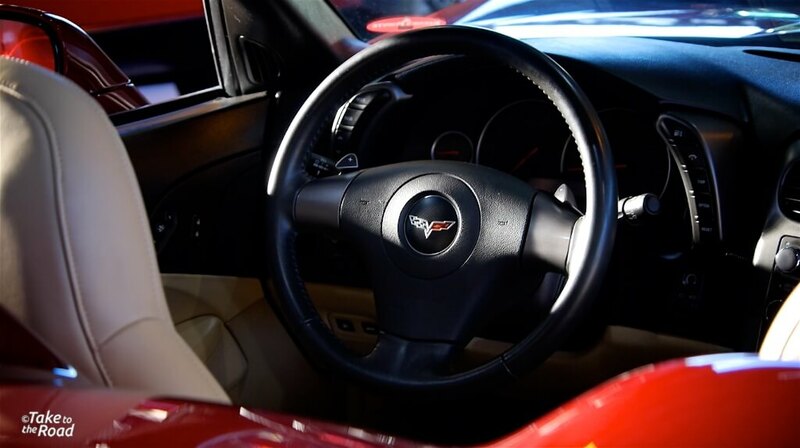 So was I impressed after my short drive in the Corvette C6? Yes, very much so! Do I want to own one? Yes, very much so! Has it changed my view of the C6? Yes it has actually. 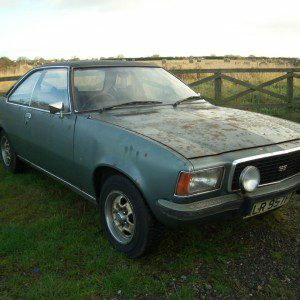 It is not a classic right now but it is more a collectors car. I do realise that my test was a short one and that it is easy to get carried away, especially when driving a car with a LS2 V8. Ideally I would have liked a much longer test to really put it through its paces. In particular I would have liked to see how it handles twisty UK roads, though the suspension did suggest it could handle it. And I didn’t have time to test the paddle shift levers so I have no idea how they change the driving experience from the auto drive setup. But I did walk away from it feeling like I had driven what is essentially an awesome long distance cruiser. When I said I felt like I could drive to Scotland in the film, I meant it. It’s the kind of car that makes you want to drive and drive, long into the night. The only downside is, you’ll need to stop for fuel. The front end on the C6 has a great aggressive look, especially at this angle.